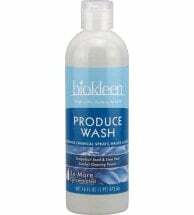 Even organic produce picks up dirt and chemicals from grocery store back-rooms and displays. Non-organic? Well, they can carry dirt, residual pesticides and herbicides, paraffin and petroleum-based “shines” that trap dirt and chemicals; things a good rinsing won’t remove. 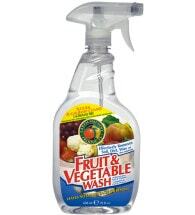 Protect yourself and your family by using a specially formulated veggie wash to rid fruits and vegetables of grime and contamination. Made from natural ingredients, they leave your “greens” clean, safe and healthful, just the way nature intended. 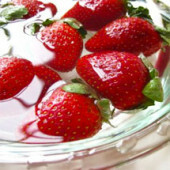 Food Pathogens: Let’s Get Dirty! Use to remove surface-borne contaminates like dirt, wax, pesticides and mold spores. 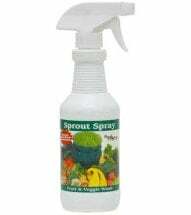 Effectively removes chemical sprays, waxes, soils and other unhealthy pollutants. All-natural spray on formula rinses away completely – NO need to scrub or soak!